The University of Washington celebrated two major fundraising and construction milestones on Wednesday for the Bill & Melinda Gates Center for Computer Science & Engineering, which will allow the UW to double its annual computer science and engineering degree production, offer an unparalleled education to more of Washington’s students and grow its high impact research programs. The UW Board of Regents voted in October to name the building for the Gateses, after Microsoft and a group of their longtime friends and colleagues joined to contribute more than $30 million in the couple’s honor. On Wednesday, the university announced a separate $15 million gift from Bill and Melinda Gates that brings fundraising for the $110 million building to a close. Smith — who, with his wife Kathy Surace-Smith, is a member of the “Friends of Bill & Melinda” who enabled the building to be named in the Gateses’ honor — will be joined by roughly 300 of his fellow donors, friends and other members of the Paul G. Allen School for Computer Science & Engineering community Wednesday at a “topping out” ceremony, which celebrates the placement of the final steel beam at the top of the structure. 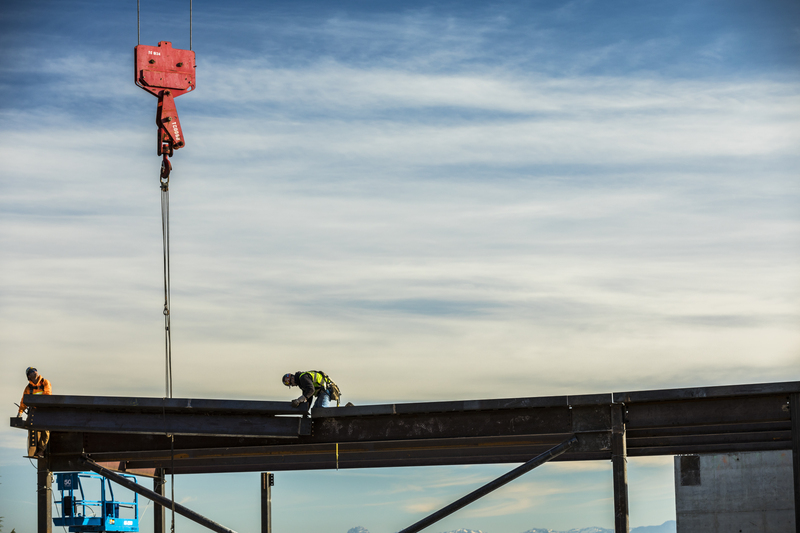 The topping out comes at roughly the halfway point in construction and marks the start of work on the enclosure and interior of the building. 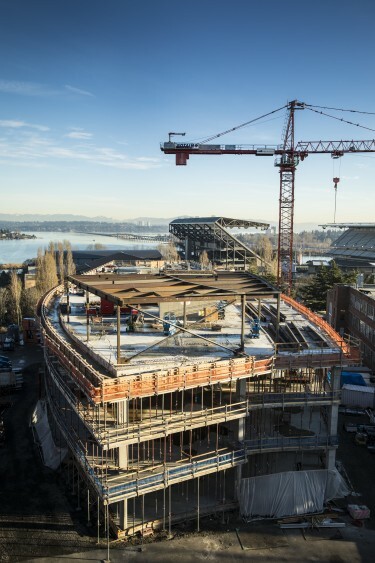 When the Bill & Melinda Gates Center opens in early 2019, it will feature an undergraduate commons that will serve as a “home away from home” for the more than 1,000 undergraduates enrolled in the major; a state-of-the-art robotics laboratory; a wet lab for leading-edge research at the intersection of computing and biology; and much-needed classroom, office and collaboration spaces — to name only a few highlights. The 135,000- square-foot building is located across the street from the existing Paul G. Allen Center for Computer Science & Engineering at the heart of the UW’s Seattle campus. “I’m especially excited about the opportunities that this building will create for women in computer science. That’s an area where the Paul G. Allen School has excelled, and an area where I hope this new building will enable women to do even more,” said Melinda Gates. “This is a special honor, because the University of Washington is a special place to me. Melinda and I are thrilled to be able to support this world-class institution in various ways. Thank you to everyone who made this building possible. I’m excited about what it will mean for the university and our entire community,” said Bill Gates. Like the Paul G. Allen Center, the new Bill & Melinda Gates Center was funded through a public-private partnership. In addition to the contributions from Microsoft and couples who contributed as the “Friends of Bill & Melinda,” Amazon, Zillow, Google, the Washington state Legislature and more than 350 friends and alumni supported the Allen School’s expansion. 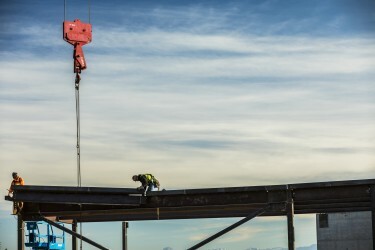 The topping out ceremony caps a banner year for Computer Science & Engineering at the UW. After breaking ground on the new building at the start of 2017, the program marked its 50th anniversary in March by becoming the Paul G. Allen School of Computer Science & Engineering, celebrated its first graduating class as a school in June and announced the naming of the Bill & Melinda Gates Center in August. “This has been a transformational year for the Allen School and for the University’s ability to prepare students — whether they’re majoring in CSE or in another discipline — to be successful in our technological world. 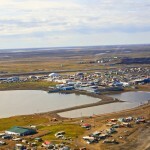 That’s going to pay dividends for them, and for our state and nation, and we have our many generous friends to thank for this progress,” said UW President Ana Mari Cauce. 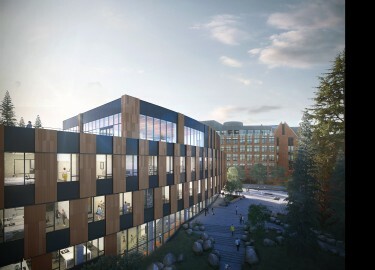 With major fundraising for the building complete, the school will focus the remainder of its Campaign for CSE on increasing support for students to ensure a world-class computer science education remains within reach regardless of background or means; graduate fellowships and professorships that will enable the program to attract the best and brightest research talent and educators to our state and region; and strategic investment in entrepreneurial research. The Campaign for CSE is part of the University’s most ambitious campaign in history, “Be Boundless—For Washington, For the World,” that seeks to raise $5 billion by 2020.